“A rosé gives a nod to beautifully casual moments”  is how Andrea Frost, author of the delightful Through A Sparkling Glass: An A-Z of the Wonderland of Wine, describes pink wines. Who would have thought that this wonderfully relaxed style of wine would have such an ancient history? Rosé can be produced in a number of different ways but the two most well known methods are using short maceration or the saignée method. Short maceration reduces the amount of time the skin and juice spend in contact after crushing – the less time together, the less colour extracted, the lighter the pink wine. 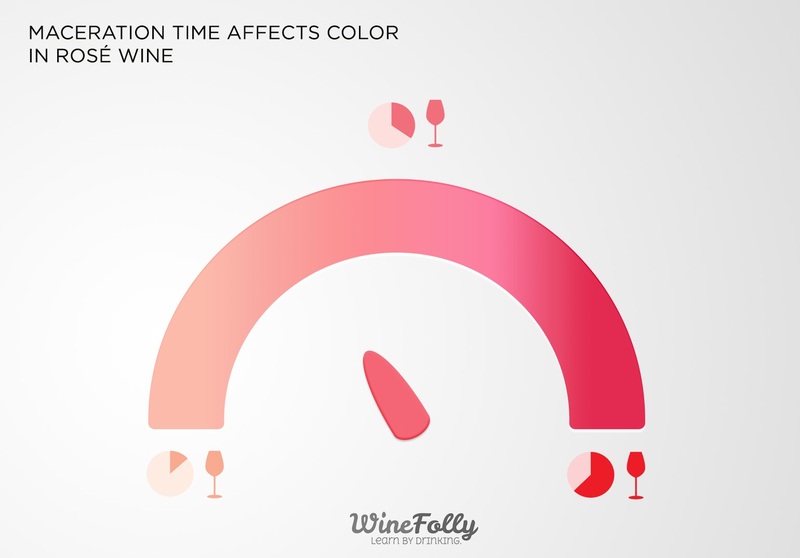 Wine Folly have a nifty infographic to represent this as shown below. Saignée is a French term meaning bled. This method produces rosé as a by-product of red wine production. A portion of juice is bled off from the fermenting must of a red wine (newly pressed skins and juice) after a short period of maceration. This provides a lightly coloured juice for separate fermentation as a rosé and also concentrates the remaining must to produce a more deeply coloured red wine. Over the years rosé has appeared in many guises whether it be the pale coloured, bone dry style from its French home, Provence, the sweet slightly sparkling version from Portugal (Mateus) or the White Zinfandels (Blush) of California, all of which have fallen in and out of favour depending on drinking preferences at the time. In a bid to challenge existing perceptions of rosé a number of different initiatives around the world have been launched recently to present an extensive range of styles in the hopes of encouraging even the most doubting that rosé is worth a try. My usual tasting partner, a prime example of one who would never have a bottle of rosé put in front of him without significant protest, at last had his interest piqued when tasting the Charles Melton, Rose of Virginia, a delicious wine from the Barossa, South Australia. 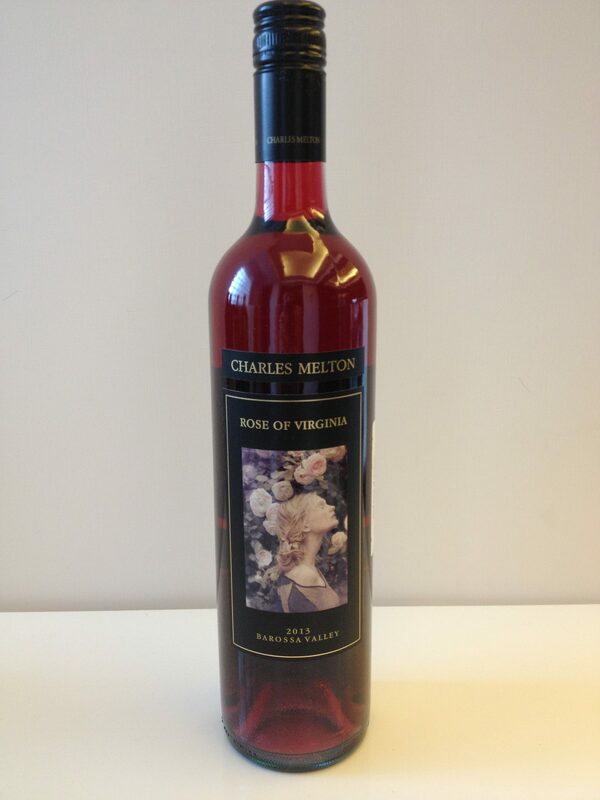 The 2013 Rose of Virginia, named for the wife of chief winemaker Charles Melton, consists primarily of Grenache and Cabernet Sauvignon with a small quantity of Shiraz, Pinot Meunier and Pinot Noir. The 2013 also wears the first of a new series of labels for Charles Melton Wines. The grapes were co-fermented with skin contact time varied depending on grape variety. 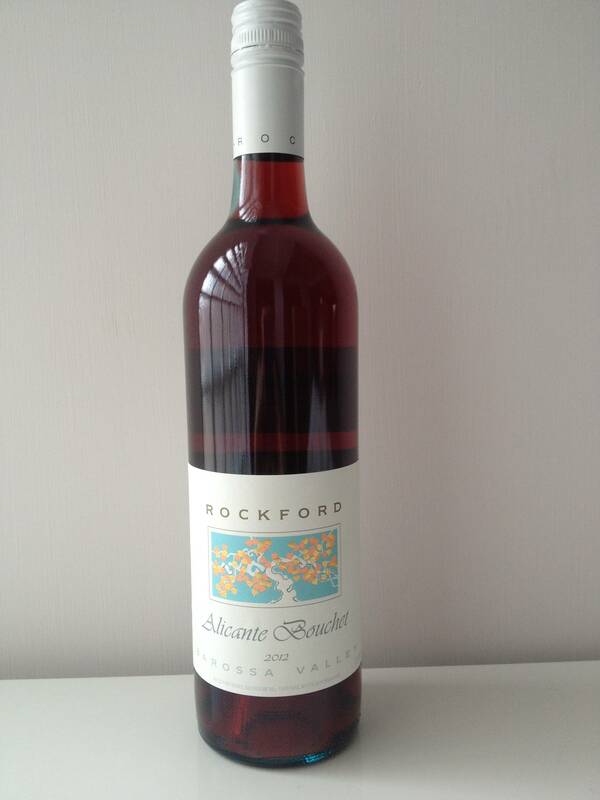 This is a brilliantly coloured pale ruby wine flushed with pink tones. The sweet nose of confectionary and red fruits from the Grenache is perfectly balanced on the palate with spice and vegetal notes, which are well integrated with a good dose of acidity and moreish texture – a wine that will work well with a number of different dishes. 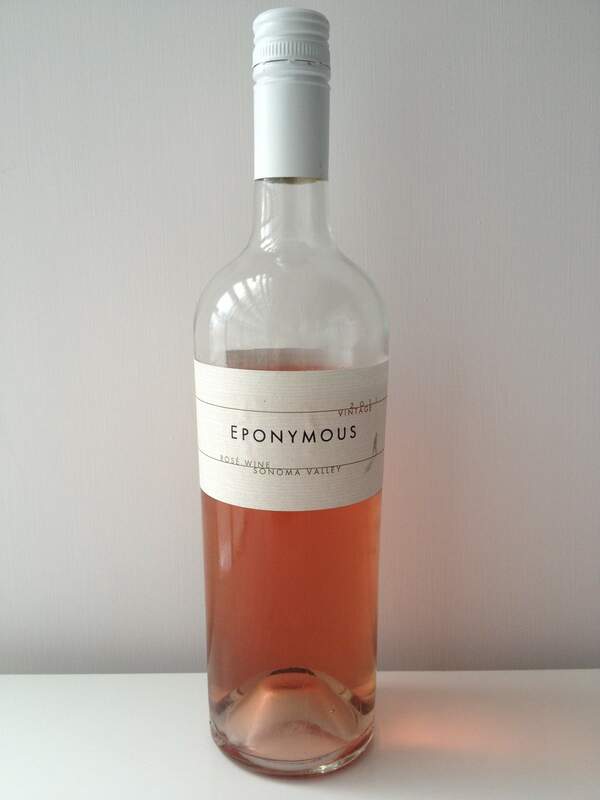 In contrast, the 2011 Eponymous rosé from Sonoma Valley in California, is a delicate salmon colour. The nose of fresh peaches and strawberries follows through on the palate where flavours of peach crumble, cooked strawberries and fresh white peach happily coexist. Although the Merlot grapes for this rosé were picked early in a bid to manage alcohol levels I still found the warmth from the alcohol a touch too persistent. However, the finish on this wine is clever and engaging with flavours of ripe yellow peach as one might expect given my notes above, but at the very end is the subtlest note of sour red cherries – a delightful surprise! Of the three wines I tasted all represented markedly different styles of pink wines ensuring there is something for even the most cynical of rosé drinkers and with hot weather warnings beginning to make appearances here in Hong Kong I can assure you I will be opening a bottle in the very near future! A bright medium minus ruby colour with pink tones. Aromas of sweet red fruits, strawberries, raspberries and plums, the spice of black pepper and vegetal notes such as raspberry leaf. On the palate the flavours of fresh raspberries, cherries and cooked strawberries were balanced by subtle black pepper and raspberry leaf. Medium plus acidity balances the sweet red fruits on the palate with a medium body and flavour intensity and a medium finish. Delicate pale salmon colour. Aromas of fresh strawberries and fresh peaches with a sweet note making me think of ripe mangoes. Flavours of peach crumble, fresh white peach and baked strawberries or strawberry jam on the palate refreshed by medium plus acidity. A medium finish of ripe yellow peaches and the subtlest hint of sour red cherries at the very end. A medium minus ruby colour with a medium body and clean mouth feel. Aromas of sweet ripe strawberries, cooked red plums, strawberry pastilles, raspberry boiled sweets and raspberry leaf together with spices of cinnamon and star anise. On the palate the flavours of fresh and cooked strawberries, plums and peach compote were balanced by medium acidity and a tanginess reminiscent of fresh raspberries and cranberries. Medium plus favour intensity and a medium plus finish of ripe red plums and yellow peach. 1. Frost, A. (2013). Through A Sparkling Glass: An A-Z of the Wonderland of Wine, p. 147. Melbourne, Australia. Hardie Grant Books. 2. The English word Claret was used to refer to the lighter pink wine style shipped to England from Bordeaux in the Middle Ages. By the 18th Century the term was used to refer to the New French Clarets, wine of much higher quality and deeper colour from Bordeaux. Robinson, J. (2006). pp. 171 – 173. The Oxford Companion to Wine. Great Britain: Oxford University Press. 4. The difference in spelling between the grape name and the name of the Rockford wine is down to how the winemaker at Rockford, Robert O’Callaghan, first saw it spelt (now understood to be incorrectly) some years ago when, given it wasn’t planted in the Barossa, he requested a grower to plant some with the intention to make this particular wine. Thanks for your advocacy of rosé wine. Rose of Virginia is a huge favourite in our house — a very fine, affordable wine, suitable for all kinds of dishes or easy drinking. Greco di Tufo; still or sparkling? Or ... what exactly is that?